Get the most out of your game by making use of all the first class extras provided at the club. From a pre-round warm up on a practice range that accurately imitates course conditions, to PGA professional instruction. Or finding an illusive piece of equipment to shave a stroke or two from your handicap in Allan Henning's well stocked Pro Shop. The Royal boasts a state-of-the-art Driving Range. It comprises a fully automated Golf Range, with coin operated ball-dispensing machines, good quality grass hitting surfaces and several target greens. The Royal Academy operates from the Driving Range, and caters for golfers of all ages. Run by PGA Professionals, Martin Briedé and Andrew Gunn, the Academy is a must for those who are serious about improving their game. A complete video/computer swing analysis is just one of the services on offer. For your convenience, a golf cart shuttle service operates between the Clubhouse and the Range, and a Professional is always available for lessons. For ladies who would like to put an edge on their game, clinics are held every Saturday morning. At Royal Johannesburg, we’re very committed to developing young players, and the Academy plays a key role in this regard. Two categories, Pee Wee's (13 years and younger) and Juniors (ages 13 – 18), are encouraged to take part in the various events held during the year. A monthly Junior Challenge is open to both members and visitors. On Friday afternoons, Juniors can take part in our very popular 9-hole competition. To make it more fun, the winners in both the Challenge and 9-hole competitions are rewarded with great prizes. An annual Parent & Child competition is another great favourite at the Royal. Clinics are held during school holidays and on selected Sundays throughout the year for Juniors. 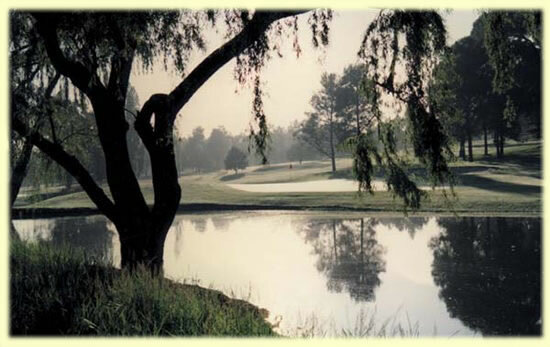 The club hosts catered golfing as well as non-golfing corporate or private functions for groups of between 10 and 300 people. Our facilities offer a spectacular venue for weddings, with the opportunity of beautifull photographic sesions on their memorable day. A separate functions foyer and reception ensure privacy for the guests. While availability is limited, bookings are welcomed. Both courses, as well as all facilities, are offered, subject to availability. Booking in advance is recommended. We will liaise closely with corporate clients to ensure that the day/event goes smoothly, and is enjoyed by everyone. Rates will vary depending on numbers and facilities required. The Compass Group provides superb cuisine under the hands-on supervision of Andre Deport and Bonnie Harris, who will co-ordinate the menu requirements of your event to perfection.